Pre-orders are starting to go live around the web for the Figma City Hunter Predator – Takeya Takeyuki Arranged Version coming from Good Smile Company. 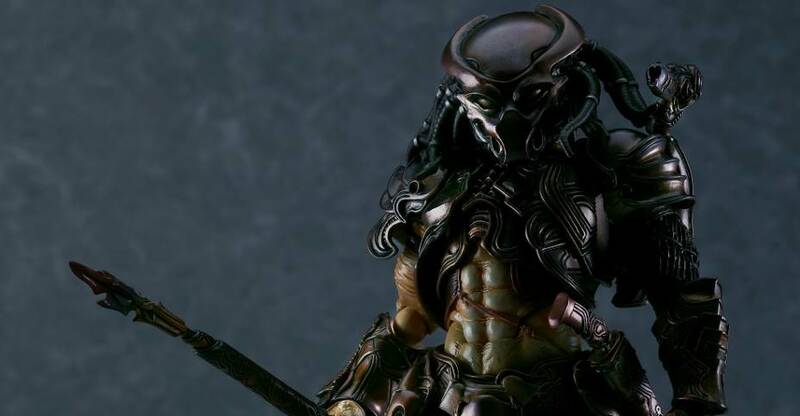 This redesigned Predator figure is based loosely on the City Hunter from Predator 2. Good Smile Company has posted their own pre-order page as well. The figure is scheduled for a December release in Japan, and will have a price of 12,800 Yen (about $118 USD). 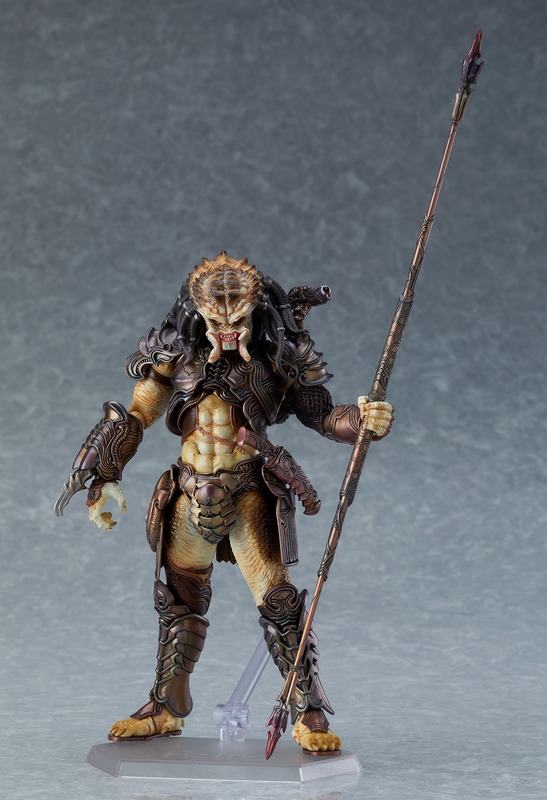 From the classic sci-fi action movie “Predator 2” comes a figma action figure of a Predator, specially designed by sculptor Takayuki Takeya! The figure has been sculpted and painted with careful supervision by Takayuki Takeya himself! – The smooth yet posable figma joints allow you to act out a variety of different scenes. – A flexible plastic is used in specific areas, allowing proportions to be kept without compromising posability. – The figure comes with two face plates including an intimidating expression with an articulated jaw, as well as an expression with closed eyes. – Optional parts include the Predator’s Bio-Mask, two Wristblades of different length as well as both an open and closed Smart Disc. – An extendable spear with interchangeable parts and a ceremonial dagger are also included. – A postcard featuring Takayuki Takeya’s original Predator design illustration is included with the figure. – An articulated figma stand is included, which allows various poses to be taken. 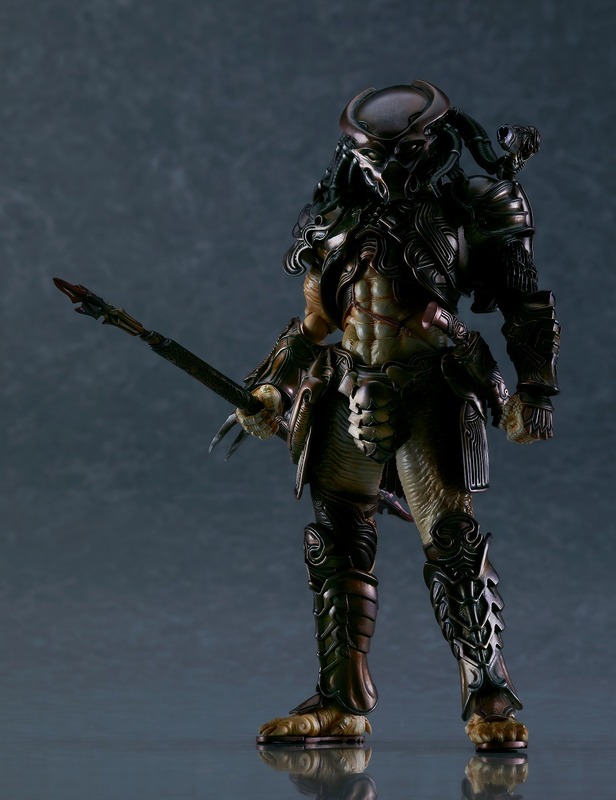 – Painted ABS&PVC non-scale articulated figure with stand included. – Approximately 160mm in height. I try to stay away from Alien / Predator figures, but man this is an impressive one. Been looking forward to this one...Takeya is a badass. I'm definitely impressed by what they accomplished here. The design is really nicely done, and the accessories are great. I'm tempted for sure. I'm gonna have to get this, it's nice. Figma rarely disappoints. Gotta get this one. Especially since Neca is having over seas issues. I'm picking this guy up for sure. I have a figuarts Predator which is quite nice, but this guy looks even better. I don't know why they said "City Hunter" when this really doesn't look much like the City Hunter. It's a cool design but why not just call it Takeya's Predator? 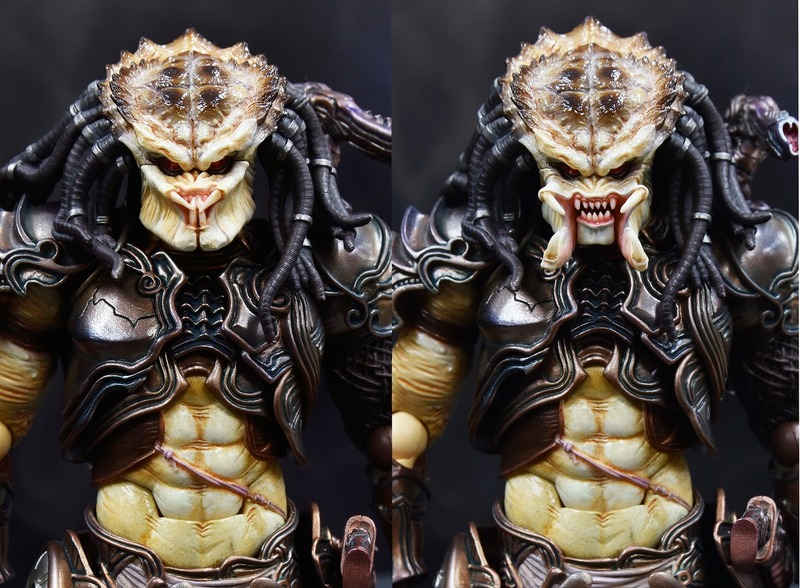 The translated description from the Figma Blog says he based his design off of the lead Predator from Predator 2. Kind of his take on that specific character. I'm a big fan of the City Hunter, and this is a really cool take on him. I'll buy it. This is one of those Multi-buy's. Absolutely stunning design and not too over the top with the "bumpy head syndrome". Brilliant. Must get for me. I would get him if he weren't $120 USD. Ugh!!! Figma used to be in the $60-$80 price range just last year. What on earth....... For a 1/12 figure, that is just too much! Man this one looks pretty awesome! I guess its some kind of exclusive so that could be the reason for the steep price. I do think the price is disproportionate to what you are getting but....I did pre order anyway on amiami lol. It has a December release date and I rationalized that I'm more inclined to spend a little more during that time of year anyway so why not. Man i love this design. This is definitely an impressive fig and i may have to get it. Yea, this is borderline 1/6 scale pricing. Looks awesome, most Figma stuff is great but that's gonna be a hard pass for me, way too much money. What the hell is happening lately with the Japanese and their prices on figures? Yeah, definitely a noticeable climb in prices if you look at it in 2-3 year increments. I just realized too that this is more expensive than a 1/4 Neca figure..which doesn't really seem right.